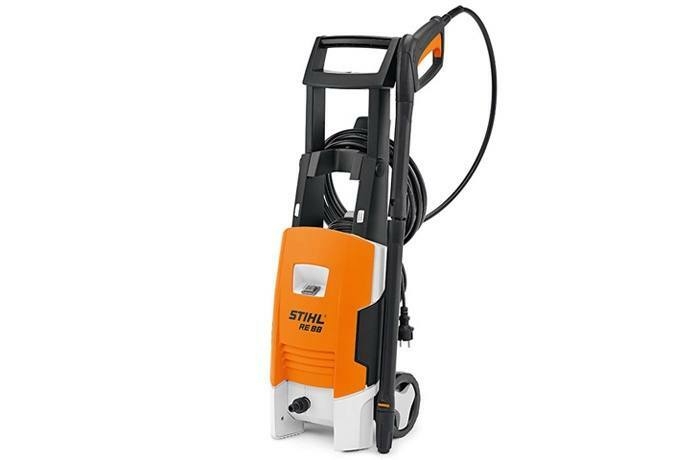 This new compact and lightweight cold water high pressure washer features a universal motor, quick coupling between high pressure hose and spray gun for quick and simple disconnect, anti-kink coupling for full use of hose length, fast rotating concentrated jet to tackle stubborn dirt, and wheels for mobility and comfort. With storage compartments for accessories and powerful spray equipment, this model is great for home and cottage use. 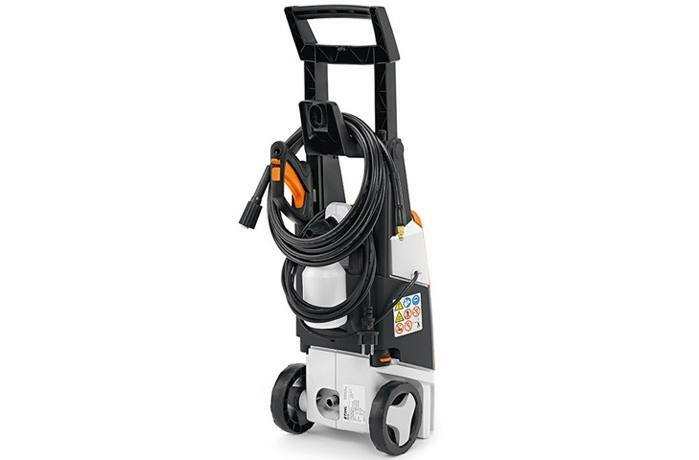 Detergent spray set: Detergent can be added to the spray jet to tackle stubborn dirt. Simply attach the detergent bottle to the spray lance. Rotary nozzle: The rotary nozzle provides highly concentrated cleaning power to clean large areas quickly. Fan-jet nozzle, variable pressure: With the variable pressure fan jet nozzle, larger areas are cleaned quickly and effectively, with control over the pressure to suit different tasks.